trust Archives - KB Concepts P.R. Recent studies reveal that starting a sentence with the phrase above or its sister, “To tell you the truth…” basically warns the listener they are about to be lied to. It may be just a little white lie, so what’s the big deal, right? Wrong. While running solo on a very cold day recently, I distracted myself by listening to a short book I’d added to my phone months ago: neuroscientist Sam Harris’ Lying. I think it had as big an impact on me as a course he took on the subject as an undergrad at Stanford had on him. In this simple, thought provoking 26-page essay, Harris points out what we already know but have a strong tendency to suppress, avoid and deny: People lie all the time to avoid embarrassment, exaggerate their accomplishments and cover up wrongdoing. We also lie to spare people’s feelings and to get out of doing things we don’t want to do. Companies mislead competitors and their customers to gain an advantage and sell more products. Governments lie for many reasons. Big lies are wrong, of course, but what’s the harm in telling someone that you love their latest book or that their dress looks nice when it doesn’t? Or that something unavoidable came up and you can’t make their special event after all. Aren’t these lies sometimes necessary to smooth social and professional relationships? Lying often seems harmless to the liar, but almost never to the lied to. The moment you put yourself in the other person’s shoes, this becomes very clear. What happens when one commits to telling only the truth all the time? According to Harris, you suddenly realize how rare truth telling is in our lives, and how incredibly refreshing and wonderful too. When you tell the truth – to your friends, your spouse, your children, your colleagues, your acquaintances – you build a relationship of trust that is deeply rewarding. “Honest people are a refuge,” Harris says. They mean what they say, and their praise is never flattery. Honesty is a gift and a source of power. It is the hallmark of authenticity and integrity, powerful tools for success in our 24-hours news and social media world. Think of all the examples of mighty people and organizations brought down by scandal, and how few truly honorable people we have to admire and look up to. Can you imagine if our personal and business worlds were full of them? So what to do when you open a gift too horrible to describe, or your partner asks if they look good in an outfit best saved for Halloween? Or a colleague asks you to review their work and provide feedback, and the entire project is a mess? As Kahlil Gibran says, “If indeed you must be candid, be candid beautifully.” Or at least tactful and kind, which is entirely do-able. Telling the truth also simplifies life in a very important way. If you always tell the truth, you don’t have to remember the lies you told before. And who knows what we would discover about ourselves in the process? 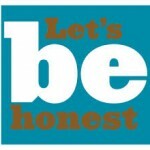 I suspect most of us don’t think we lie much, and probably not as much as others. From here on in, I want to be someone who never lies — in my business or personal life. I want my clients, colleagues, friends and loved ones to know that when I say something, it’s the truth. I apologize in advance if I somehow offend you in the process – being tactful while truthful might take some practice.